Derived from Malay and Indonesian words, the name orangutan means “person of the forest”. Starring into the eyes of a wild orangutan for the first time, a child tenderly wrapped around her neck, I could not help but recognize a familiar look. Eyes full of depth and feeling, but also of unease at a world rapidly changing around her – the look of a concerned mother thinking about her child’s future. In 2008 the Guinness Book of World Records declared that Indonesia was experiencing the fastest deforestation rate in the world. The continued destruction of rainforest has jeopardized not only a life sustaining ecosystem for people and wildlife alike, but also a global biological hot spot and carbon sink. 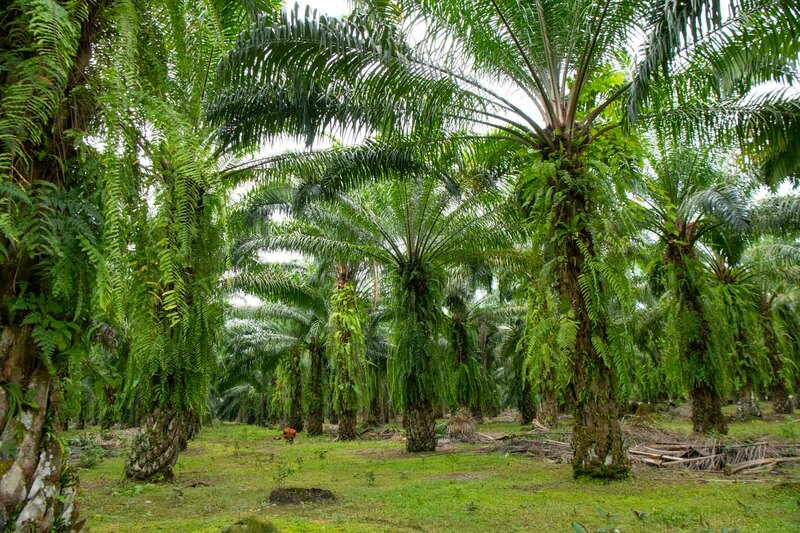 In their place a new kind of ‘forest’, manufactured and sprawling like a suburb, has emerged: palm oil. As if by magic, these trees produce fruit at an astounding pace, the oil of which is found in everything from bread and chocolate, to lipstick and shampoo. Yet in their wake, wildlife, people and local agriculture are being displaced. In the fall of 2018, I traveled to Sumatra to witness and document the wholesale transformation of this region and its forests. Spending two weeks with the Orangutan Information Centre, a local conservation organization who have dedicated the last 18 years to protecting Sumatran orangutans (Pongo abelii) and their rainforest home, opened my eyes to an issue that transcends the regional but is of global concern. These images depict the complex and pressing tale of palm oil in Northern Sumatra, where destruction and restoration, orangutan and people, conservation and livelihood collide.